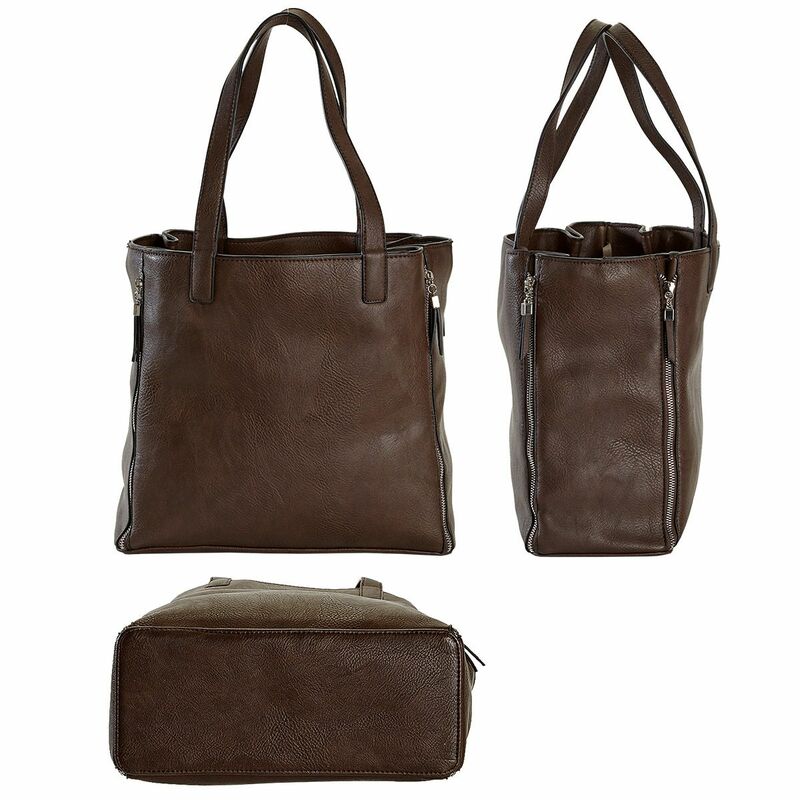 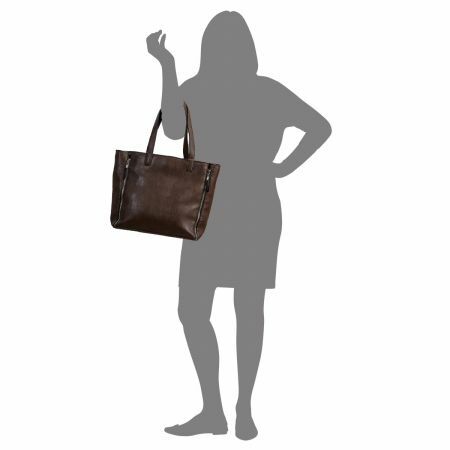 Expandable 13"L x 5 1/2"W x 12H" vegan leather tote with inner/outer pockets comes with a matching RFID-protected crossbody purse with removable strap. 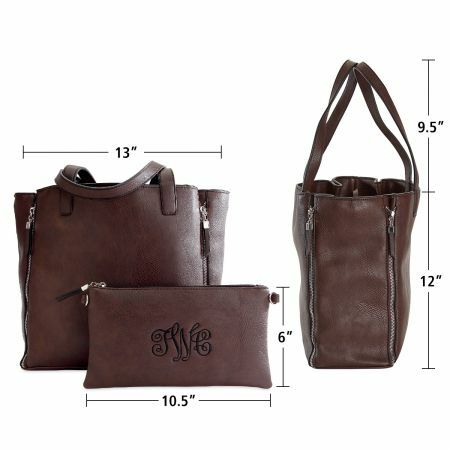 Crossbody bag with detachable strap measuers 10 1/2"L x 0.5"W x 6"H. 4 Expandable outside zippers increase storage space, 2 interior pockets, RFID protected. 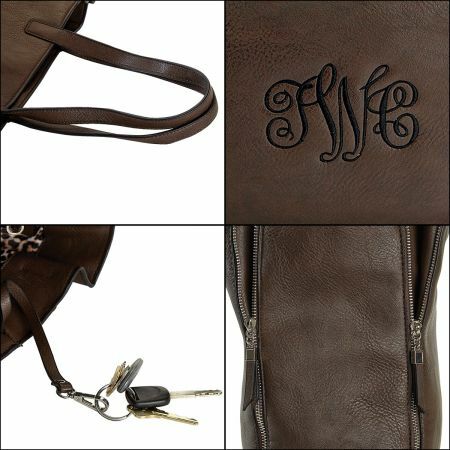 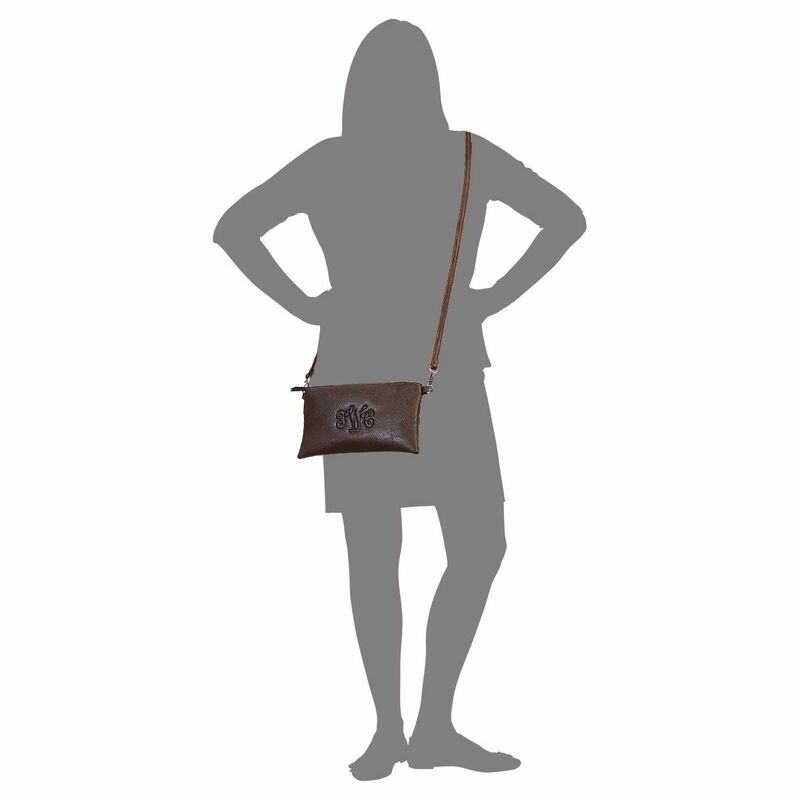 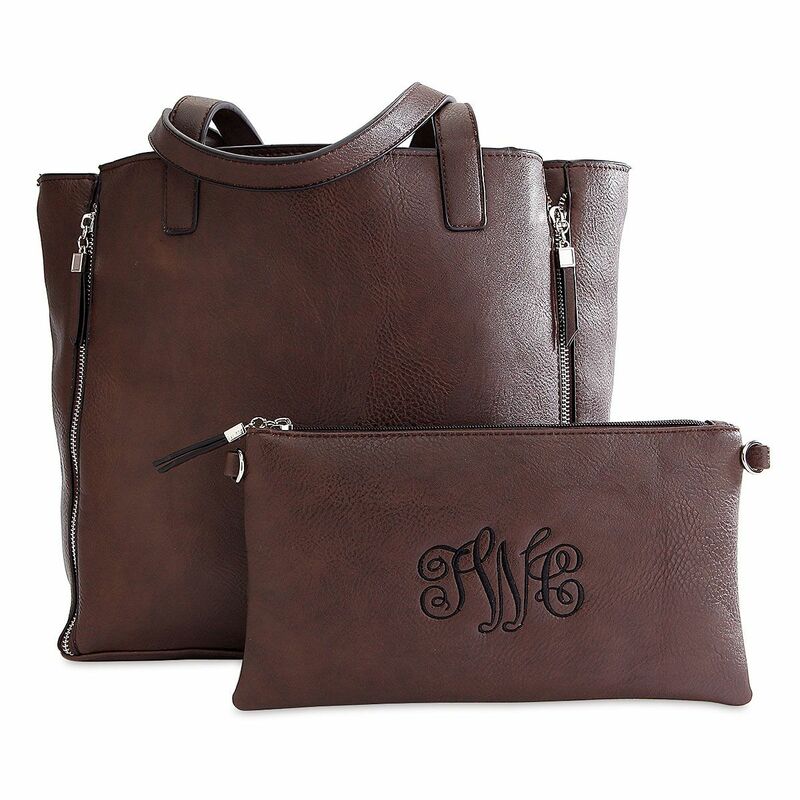 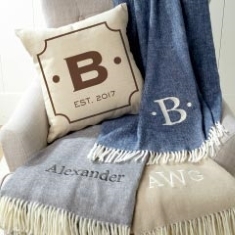 Specify 3 initials (first, last, middle in this order) for crossbody purse).